Outlasting the hell out of Margaret Thatcher. 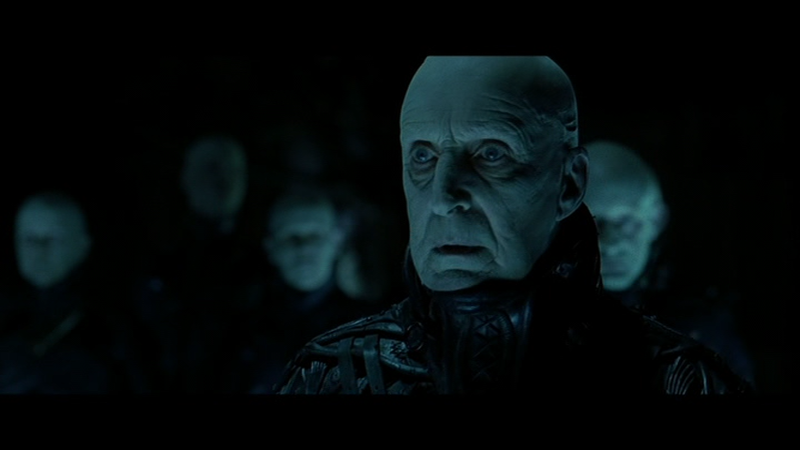 An unofficial 4th chapter in the British “House of Cards” mini-series trilogy, 1998’s “Dark City” (dir. Alex Proyas) sees Francis Urquhart (Ian Richardson) revivified by aliens, and set up as the governor of the eponymous city (clearly a much reworked London). Perhaps a bit over the top in highlighting F.U.’s villainy, it is nonetheless good to see that character having fun again, after the somewhat gloomy grind of “The Final Cut”. This chapter benefits from a more cinematic style, most dramatically apparent in the switch to surrealist/German Expressionist set design and cinematography (Dariusz Wolski).